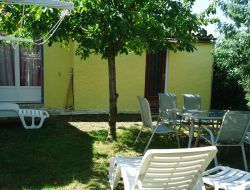 Holiday residence located 400 m from downtown, bordering the park of La Grande Motte, in a quiet area. Between sea and ponds, La Grande Motte welcomes you in green surroundings. Explore this pleasant family resort with its marina and water sports center. Enjoy being at the gates of the Camargue to meet wild landscapes. 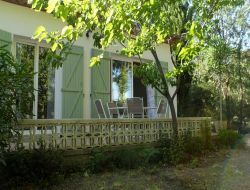 Rent of 2 holiday cottages for 2 at 5 persons between Montpellier and Nîmes, in an olive grove of village and a family agricultural house. 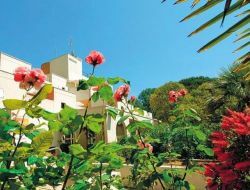 Holiday homes at 3 km from Sommières, 10km from Castries, 25km from Montpellier, Nîmes and of the Mediterranean Sea, in a typical village of the Languedoc between sea, the Camargue and the Cévennes. Holiday rental situated in 500m from the beach and near the port. 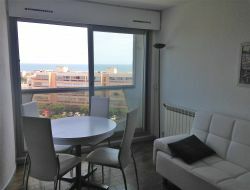 Apartment in the 6th floor with elevator, sea view and on the pond. 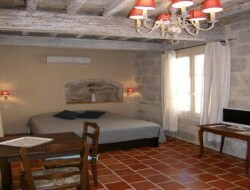 Small holiday cottages of charm in the pedestrian historic center of Pézenas. 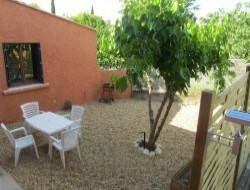 3 Studios any comfort (air conditioning, bed 160cm, TV, equipped kitchen area) in a house of the 15th century. 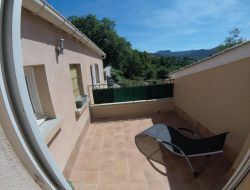 Nature and fresh air guaranteed for our gite "3 épis", with air conditioned, private terraces and panoramic views. Peaceful. Television in the room and kitchen. For your holidays in the South of France, discover Languedoc, under the sun near the Mediterranean Sea. 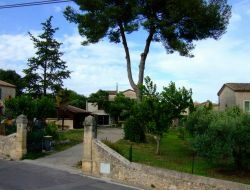 The gite is situated in the village of Fozières, in the department of the Hérault in 50 km from Montpellier. It is a zone of contact between Limestone plateaus and the Cévennes, cultural landscape of the Mediterranean agropastoralisme registers on the UNESCO world heritage list and the fertile plains of the right bank of the Hérault. Villa of big capacity in 15mn from Béziers, St Chinian, and Roquebrun, in 30 mn from the sea, in 100 m from the river Orb. Implanted at the heart of a magnificent environment, this raised property of 4500m² offer a quiet space. Summer kitchen, big swimming pool, vast living rooms and comfortables bedrooms. Holiday cottages for 2 people with shared pool, quiet and very comfortable. The property is situated in the middle of vineyards, in a small village of the Languedoc Roussillon, counting 800 inhabitants in 15km from Montpellier, between sea and the Cévennes. Valérie and Christophe welcome you in their comfortable holiday cottage, completely renovated, for 6 people (3 bedrooms), close to the beaches and multiple interest places but far from the bustle. You can rest on the terrace or in the garden, take advantage of the barbecue or still the area for playing boules.